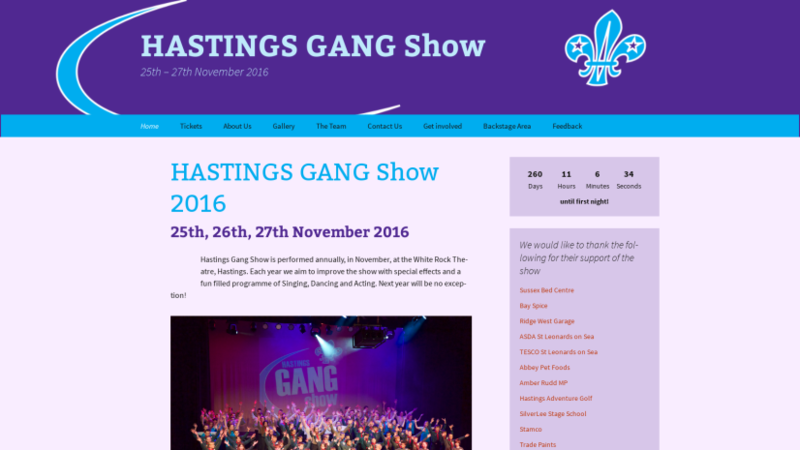 Hastings, Rye & District Scouts annual Gang show website. History and basic information site. 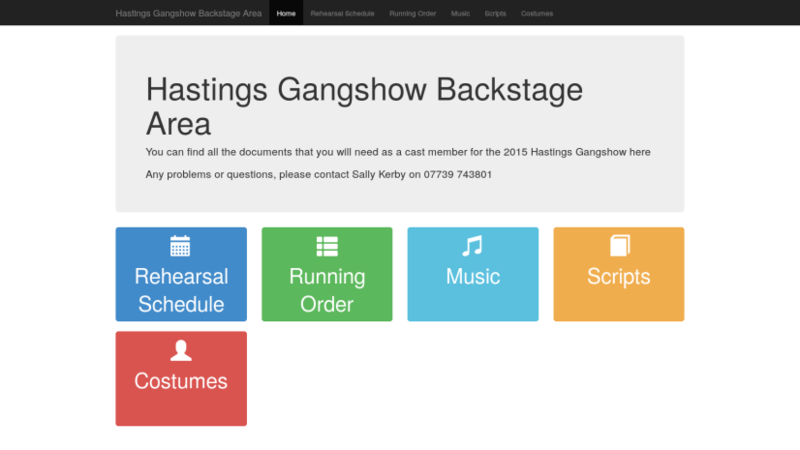 Includes basic password protected backstage area for scripts, music, rehearsal schedules, etc.